There's a place for you! 2018 marked the beginning of the first annual University Challenge. The competition invites students from universities across Ontario to host an event or series of events during NEM and compete for a three cash prizes: $3000 for first place, $1500 for second place, and $750 for third place. Last year, NEM 2018 Challenge featured 5 student teams from 4 different universities. An impressive total of 16 events were run by the student lead teams during National Engineering Month in March. The events were scored on Effectiveness of Messaging, Integration of NEM theme and visual elements and Participant Engagement. The rankings below were determined by the National Engineering Month Ontario Steering Committee, weighing the Event Scorecards, Event Info Packets, and pre/post-event Engagement. Congratulations to all the teams and a big thank you for all their efforts! University Challenge Winners and Ranking! Thunder Bay, ON – The Engineering Student Society (ESS) of Lakehead University hosted an interactive booth at the local Intercity Shopping Mall, where they polled the public with questions regarding the many problems faced by the residents of Thunder Bay. 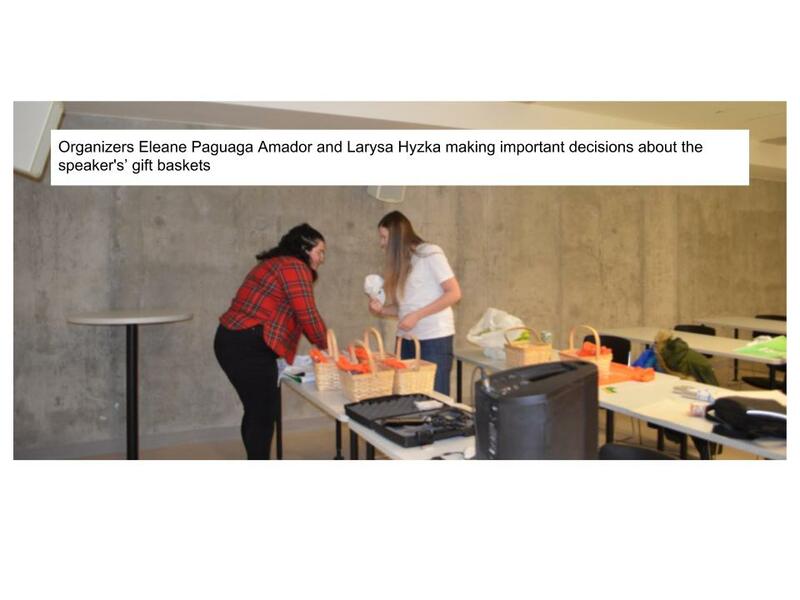 Thunder Bay, ON – The Engineering Student Society (ESS) of Lakehead University challenged high school students to come up with unique solutions to problems faced by the residents of Thunder Bay. It is the hope of the ESS, that this year’s NEM message of “There’s a place for you!” was well portrayed to the students and opened their eyes to the possibilities of an engineering career in their future. The event was hosted at St. Patrick High School on March 22, 2018. 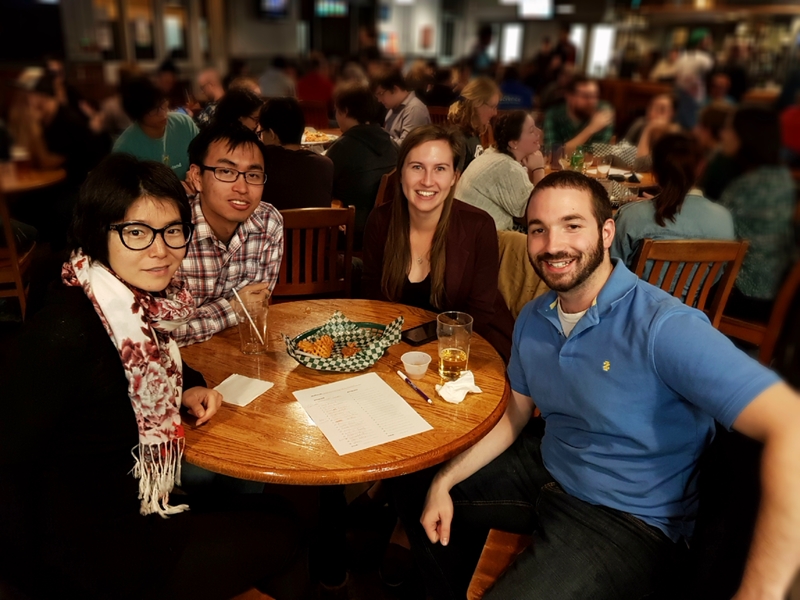 Thunder Bay, ON – The Engineering Student Society (ESS) of Lakehead University hosted several University campus events, including Sno-golf, ScavENG, and Movie night. All the events had inclusivity in their core principles and brought a huge turnout of Lakehead engineers. Community engagement, and really engagement all around! Engagement is key to creating positive, memorable experience that are aligned with the messaging that “There’s a place for you!” in Engineering! A symposium designed to celebrate National Engineering Month (NEM) in hopes to show another side of the engineering profession. In the spirit of innovation and community Paguaga Amador and Hyzka gathered a handful of people from their community whom they believe to be leaders in the Windsor-Essex community to share their stories on how they chose engineering and what it means for them to be part of the profession to students across the city. “We wanted to show people that engineering is not just designing bridges and fast cars, but solving the problems of the world,” says Hyzka. This was evident through story after story of speakers who believed that their highest potential could be reached through engineering because it allowed them to make the lives of other easier. In a poignant and powerful speech by Destiny Soney, a third year Anishinaabe Environmental Engineering student remarked “[The Creator] gave my people the job of protecting Turtle Island. This is how I play my part.” If everyone saw engineering as a way to fulfill society’s greatest needs, then maybe more students would consider a this career path. “There are many stereotypes associated with engineering which is quite unfortunate as the profession is changing quickly. We are people of colours, we are queer, we are neurodivergent, we are non-binary, and we are unstoppable,” says Paguaga Amador. Integrating diversity in an innovative way! The interactive wall of engineers was a unique opportunity to illustrate diversity and help communicate that “There’s a Place for You!”. As the evening approached, the event drew near. The organizers and volunteers worked up a sweat making the final touches to the event venue. When all was complete, there was certainly excitement in the air. There was a sigh of relief as the guest speakers arrived early. Students started to stream into the room after the registration was complete. To their delight, they were met with free food, and not just pizza! Students took to their seats as the guest began to speak. Monica McVicar started the evening off talking about her career path and her work at the City of London, tying in infrastructure projects that affected the city, its citizens and environment. Phil Spencer continued the evening’s discussion with his experience in the consulting industry, emphasizing the opportunities and challenges that engineers face. He was once in our shoes as a Western University student, but has since then travelled to different parts of the world for his work. Next, Imtiaz Shah provided the audience insight to the unique role of conservation authorities, having responsibilities that range from technical experts to regulators to environmental stewards. Steve Hales finished off the night with his insights from the consulting industry, reinforcing how multidisciplinary consulting work can be, showing there is a place for everyone. The event drew to a close and the students could mingle, network and ask questions with the guests. A sweet treat in the form of pies awaited them as a small homage to Pi Day. Telling a story about engineering and the possibilities an engineering career can have. By weaving a common thread throughout the series of quest speakers and aligning well with the NEM messaging – There’s a place for you! – this creates a very cohesive event with impact. Industry experts and guest speakers are happy to help! Reach out to your local community, areas of interest, local PEO Chapters, Engineering Societies, and other clubs to find people that you can bring into your events to help create a rich experience for your guests. We would like to encourage all teams planning to return to the challenge for NEM 2019 to use this information as a resource to continue to build and strengthen your events. Ready for NEM 2019 now? Register your team HERE!